My 2012 Prius Four has reached 120,000 miles and symptoms of rough idle, cold start rattle, decreasing fuel efficiency and sporadic loss in power (especially during acceleration), has become almost a once-a-week routine. I figured it is time to replace the spark plugs. I am having major service as recommended by Toyota done to the Prius sometime this month and figured I’d shell out an extra $50~$100 to have them replace the spark plugs at the same time, so I called my dealer and requested a quote. My jaw basically dropped. I was quoted $290 and as a courtesy, the service lady offered $50 off, still $240. I called another dealer that I’ve been going to since 2012 and was quoted even higher at $368!! There is no way I am paying ~$300 to have $40 worth of parts changed so I decided to change it myself. After changing the spark plugs, fuel efficiency increased and displaced power from the Prius has returned. Stepping on the gas doesn’t feel like the Prius is struggling and no more cold engine rattle from the ICE during warm up cycle. For this project, I used NGK (4912) ILKAR7B11 Laser Iridium Spark Plugs. They are pre-gapped to Prius spec (1.0-1.1 mm). 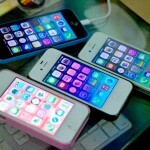 Depending on where and when you buy them, they cost between $9.00 ~ $11.00 each. You’ll need four. The entire spark plug replacement process costs about $45 in parts (4 spark plugs, 1 packet of anti-seize grease) and a bottle of ice cold beer. The entire procedure took me exactly an hour and 30 minutes while taking photos. I suspect it would take probably about an hour without all the photographing. 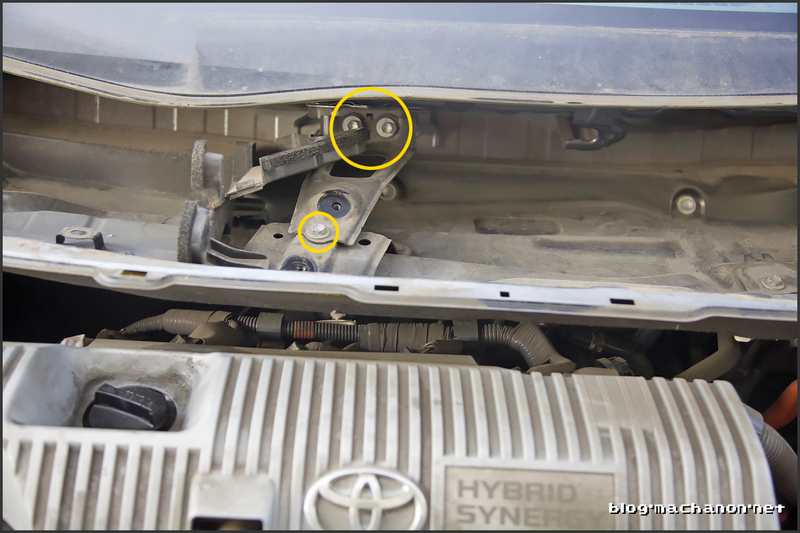 Here’s a DIY guide on how to change the spark plugs from your 3rd gen, 2010-2015 Toyota Prius. Be sure to read the entire guide completely before attempting. 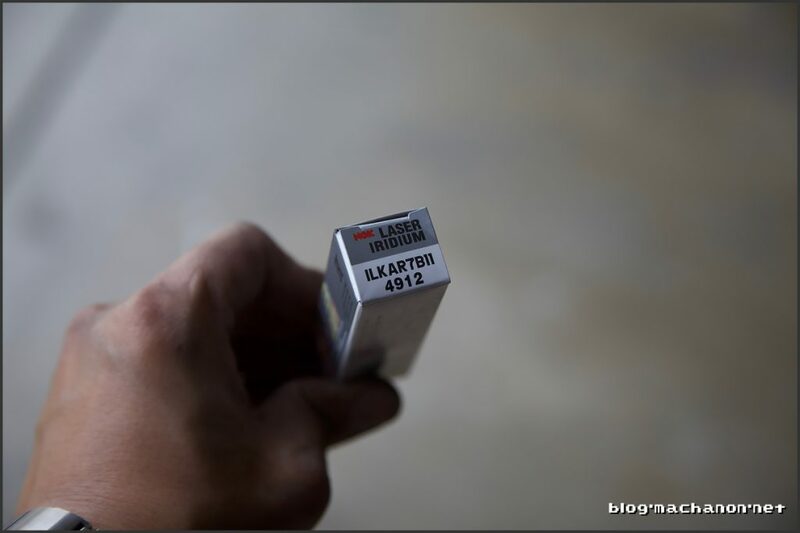 4x NGK (4912) ILKAR7B11 (4912) Laser Iridium Spark Plugs. These are pre-gapped. 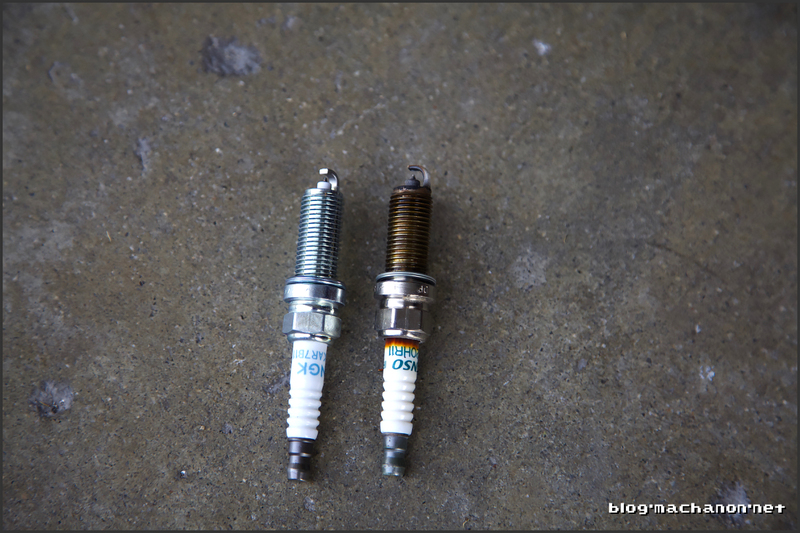 Normally, replacing spark plugs from a 4-cylinder vehicle should take no more than 15 minutes. 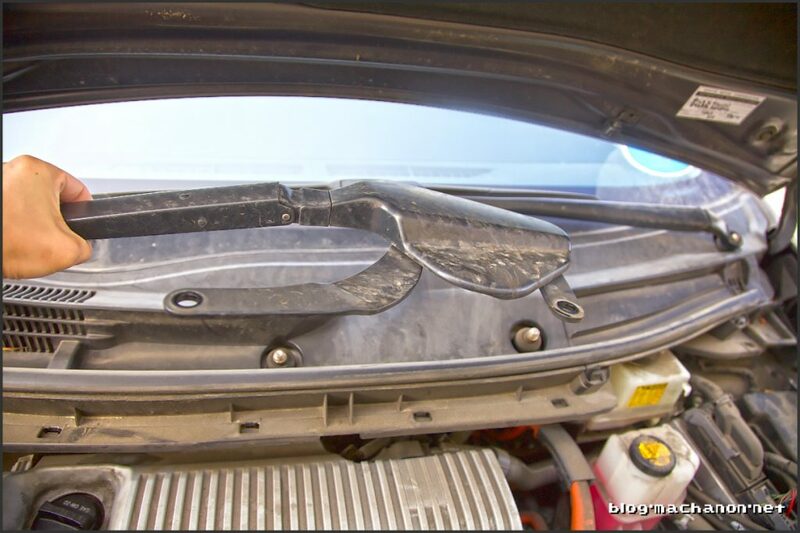 With the Prius’ engine tucked further in closer to the firewall and having the windshield wiper cowl overhanging the area where the ignition coils reside, the cowl must be removed for access clearance. 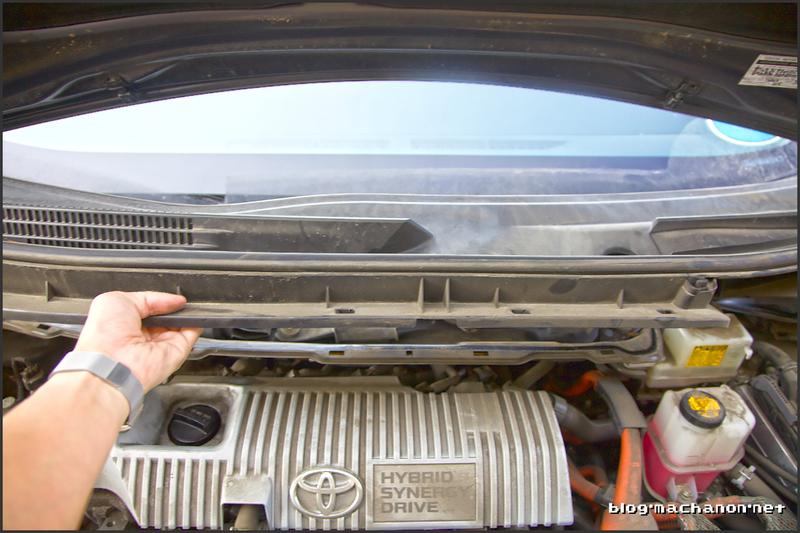 While the steps appear to be complicated, it really isn’t and it should take you no more than an hour to remove the windshield wiper cowl, replace the spark plugs and re-install the windshield wiper cowls. 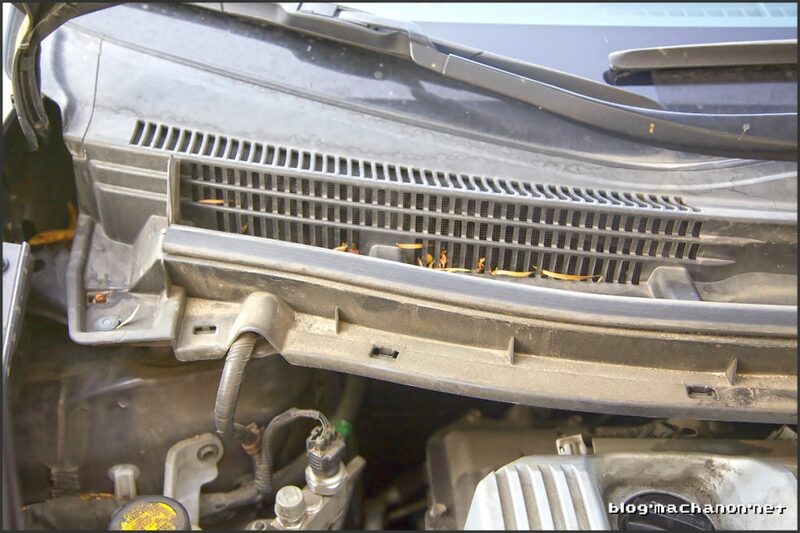 Removing the cowl also allow you the opportunity to clean up any debris deposit, such as dried up leaves and berries, especially if you park your car under trees often. Let’s remove the wiper arms to start. 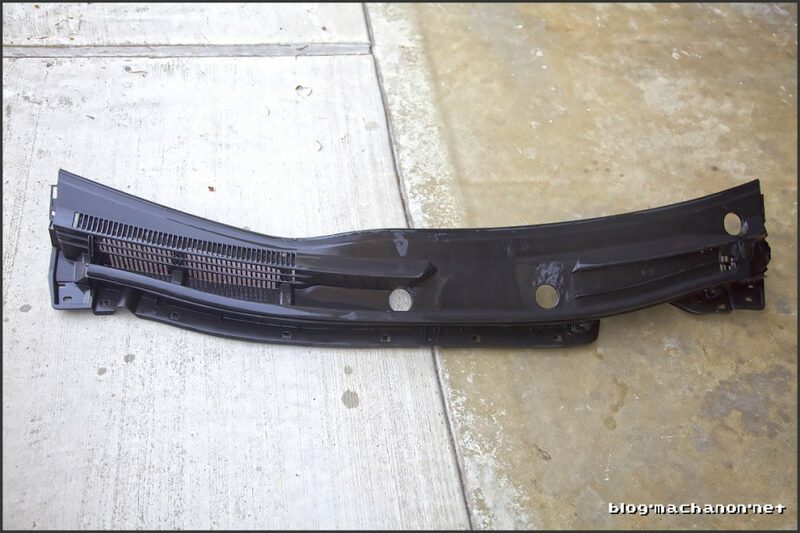 Begin with the driver side wiper. 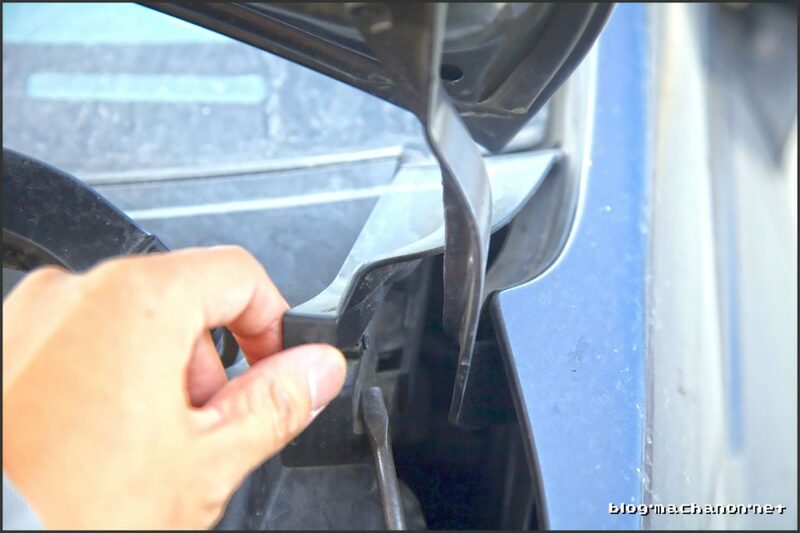 Remove the the cap at the base of the wiper arm simply by pulling it out with your thumb and index finger. Unbolt the 14 mm nut from the driver side wiper and two 14 mm nuts from the passenger side wiper. Set nuts aside and lift wipers out. 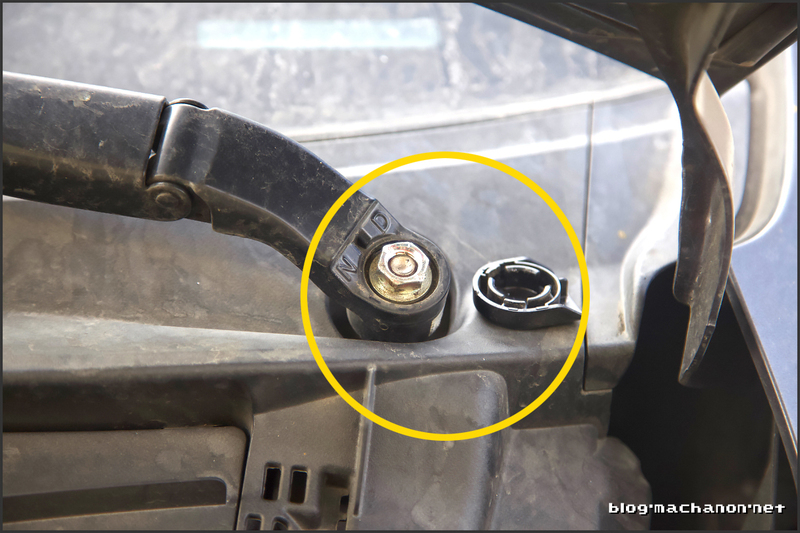 Remove the windshield wiper driver side and passenger side end-caps by inserting a Flathead screw driver between the crease and turning clockwise. The end-cap should lift up. Remove and set aside. 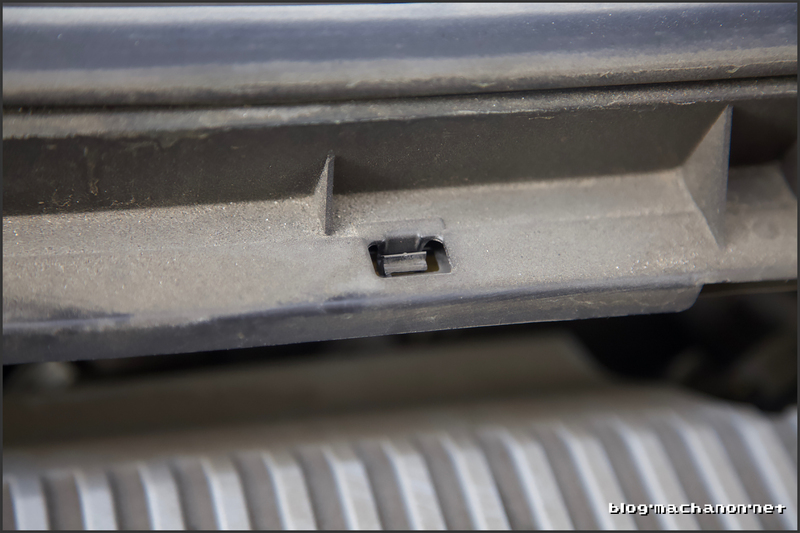 Remove two push-pin retainer clips from the windshield wiper cowl, one on the driver side and one at the passenger side. Simple push the the circle on each pin until the pin is released. 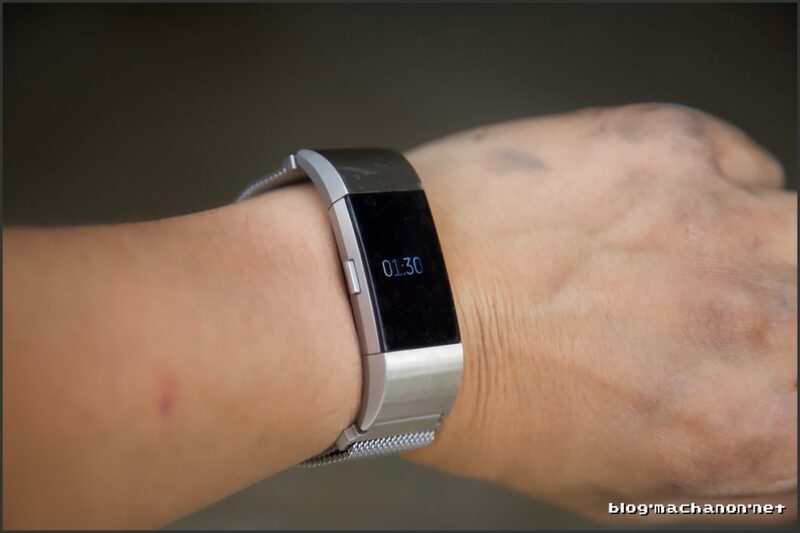 Remove the push-pin retainer clips and set aside. 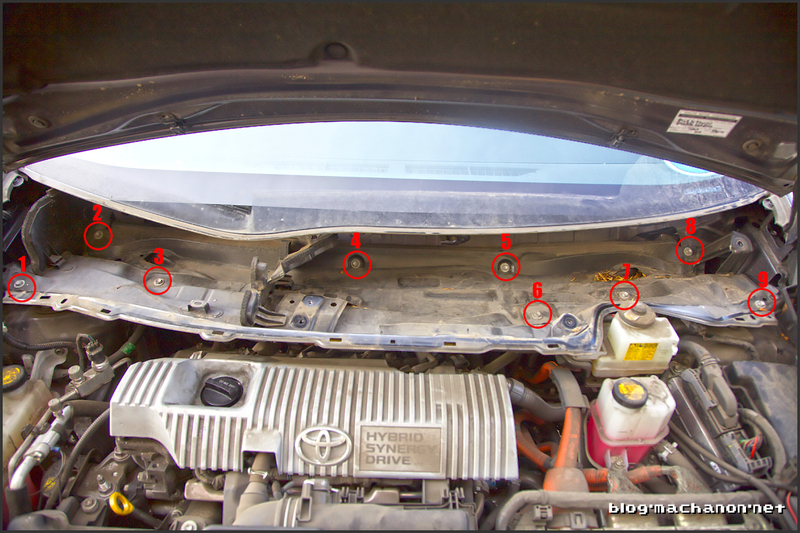 Disengage the five clips on the windshield wiper cowl from the windshield motor sub-assembly along the passenger half side of the vehicle. You can do this by simply pinching the clips with a needle nose pliers or pushing them with a Flathead screwdriver until they disengage. Carefully lift the cowl out and set aside. I took this opportunity to clean out years of debris trapped on the mesh vent along the passenger side. Then I gave it a nice hose down with water. This step is optional, of course. 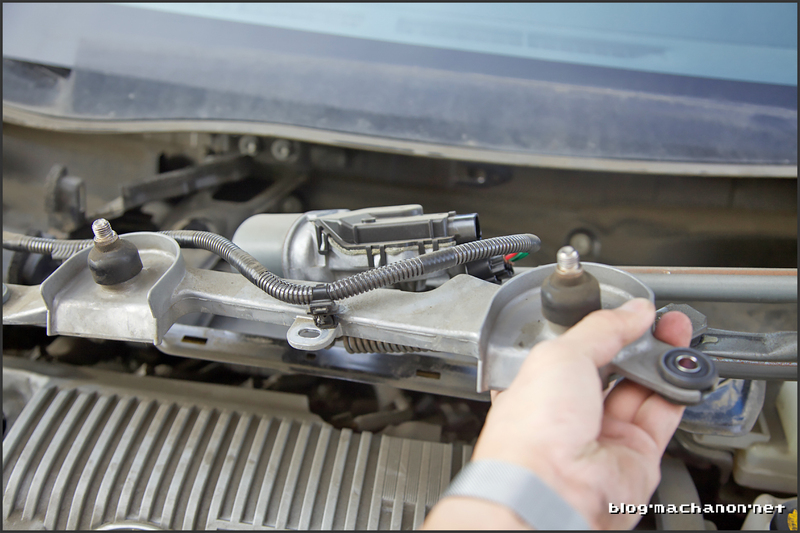 Disconnect the windshield wiper motor cable by pinching the clip down and pulling out. A pair of needle nose pliers may make this easier. 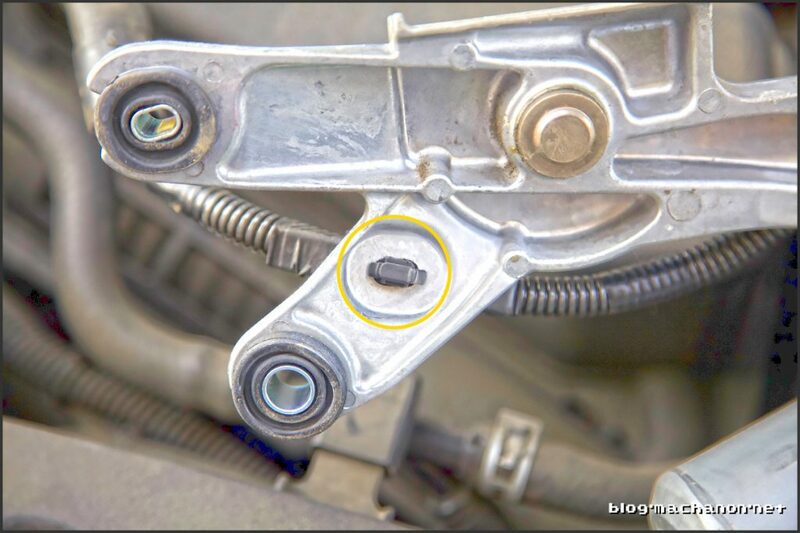 Remove four 10 mm bolts from the wiper motor assembly and then lift the wiper motor assembly off from the wiper motor sub-assembly. 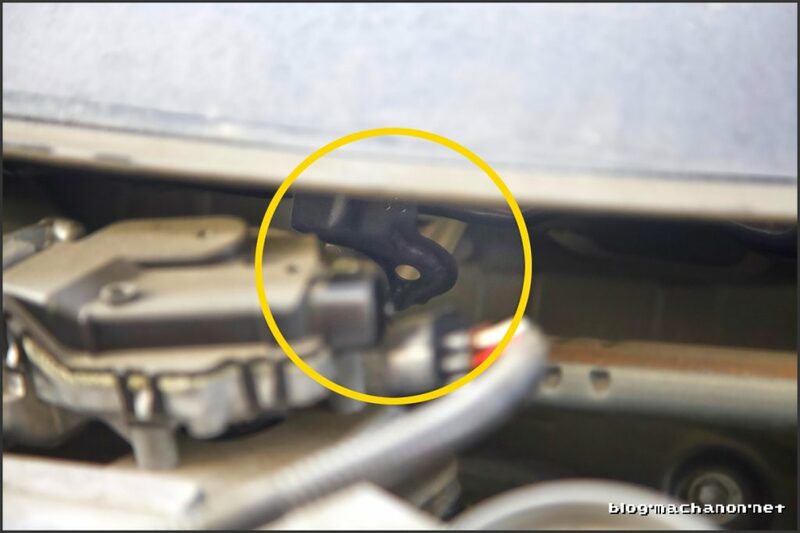 To do this, you’ll need to slide the wiper motor assembly slightly to your left (there is a mounting point at the back), pull the wiper motor assembly towards you and lift out. 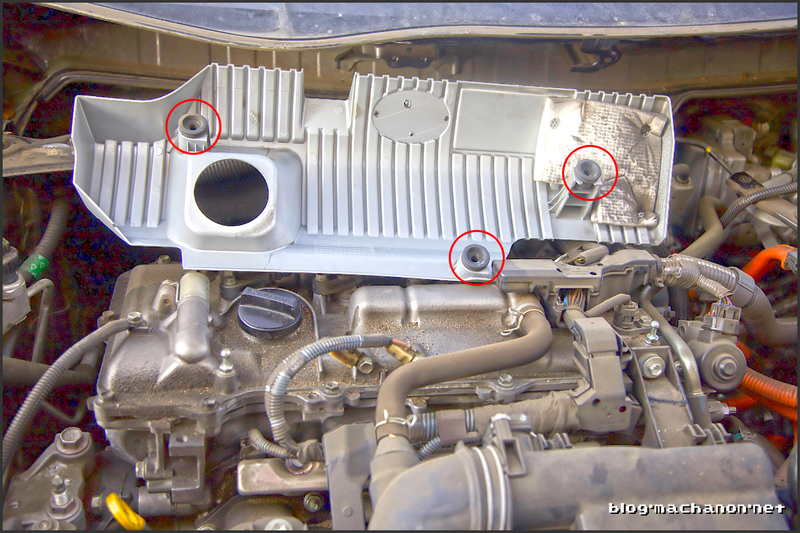 Remove nine (9) 10 mm bolts from the outer cowl top panel sub-assembly on the marked locations and set aside. Clear the plastic cable channels from the chassis then carefully lift the sub-assembly out. You may need to lift it out at an angle for clearance. 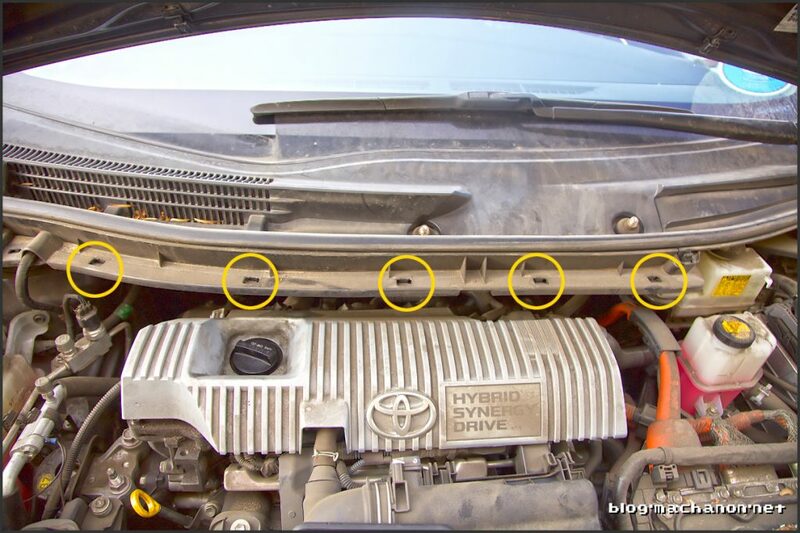 From here, you should have full access to the Prius’ ignition coils. With the windshield wipers, cowl, motor assembly and sub-assembly removed, we now have full clearance needed to access the spark plugs. 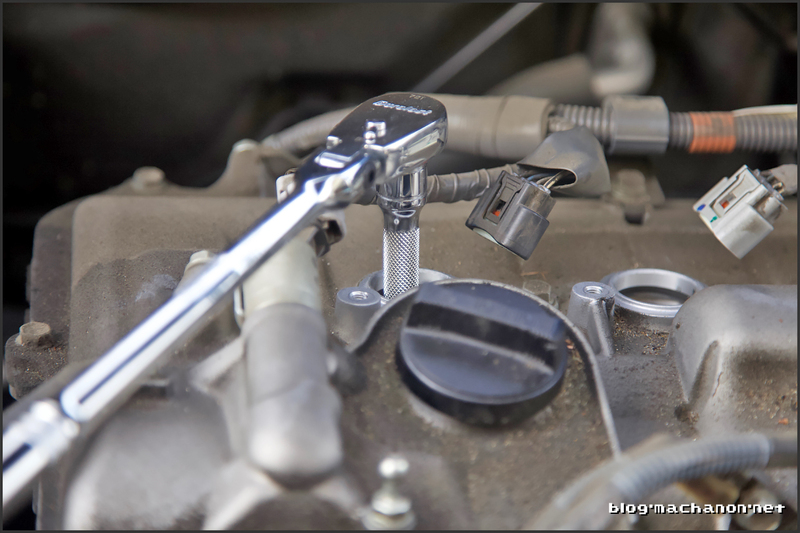 Pop out the plastic cylinder head cover simply by lifting it up, the unbolt four 10 mm bolts from the four ignition coils. 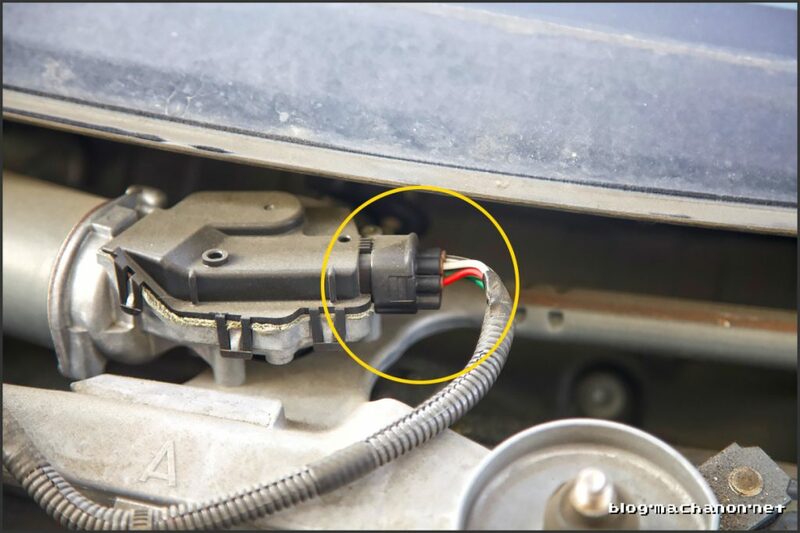 Unplug the cable connector from each ignition coil. 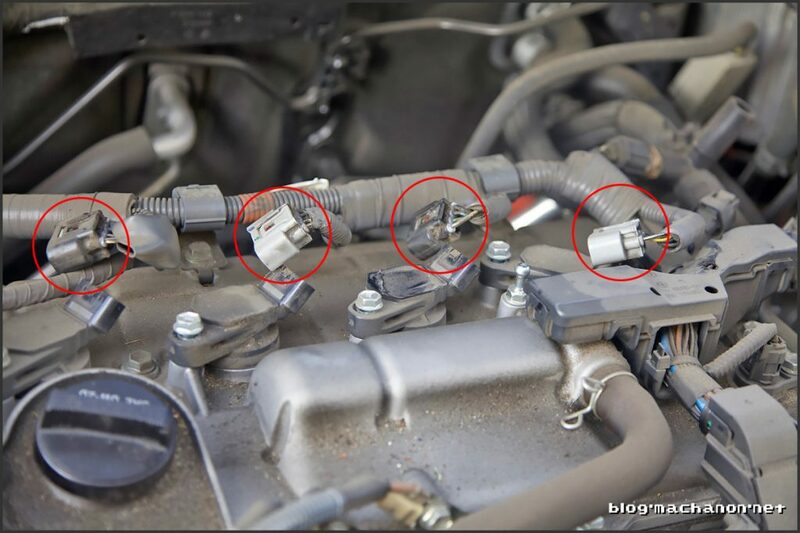 Remove all ignition coils by pull it out of their sockets and set aside. 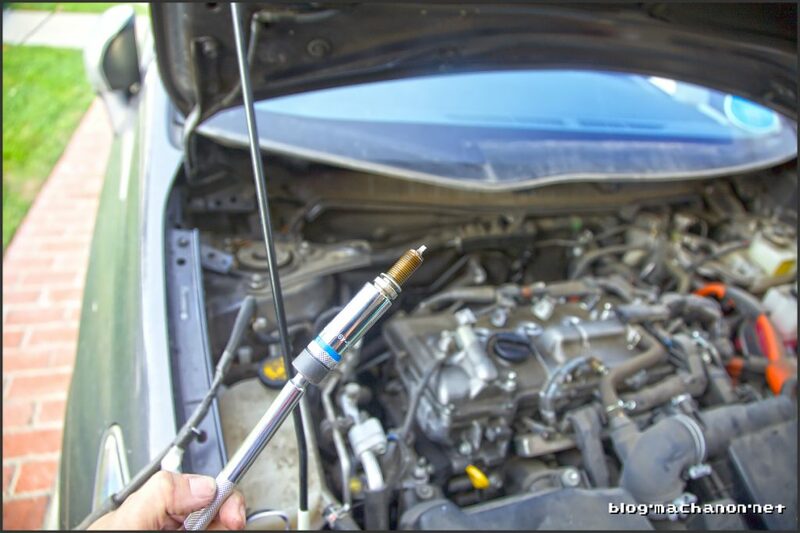 Using your magnetic 9/16 spark plug socket, remove each spark plugs and set aside. 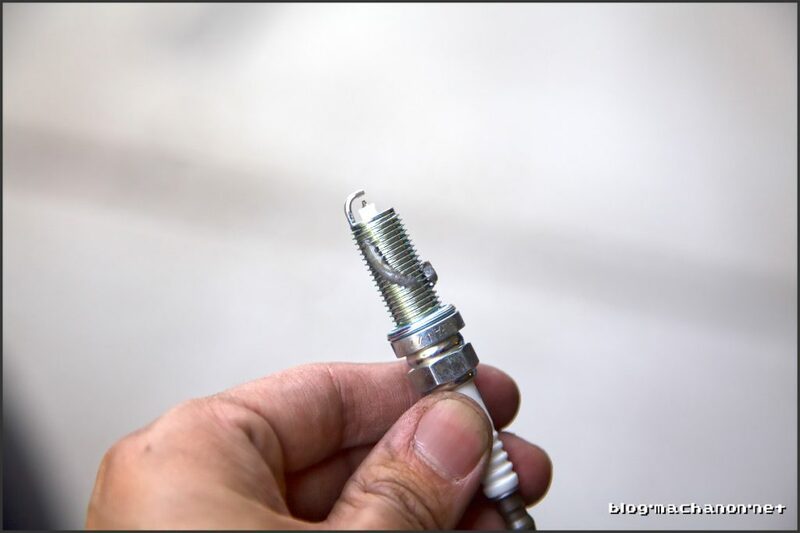 Add a drop of anti-seize grease to the thread of each new spark plug, re-insert them into their cylinders and hand tighten being careful not to over-torque (15 lb-ft if not using anti-seize, 13 lb-ft if using anti-seize). Repeat for the remaining three spark plugs. 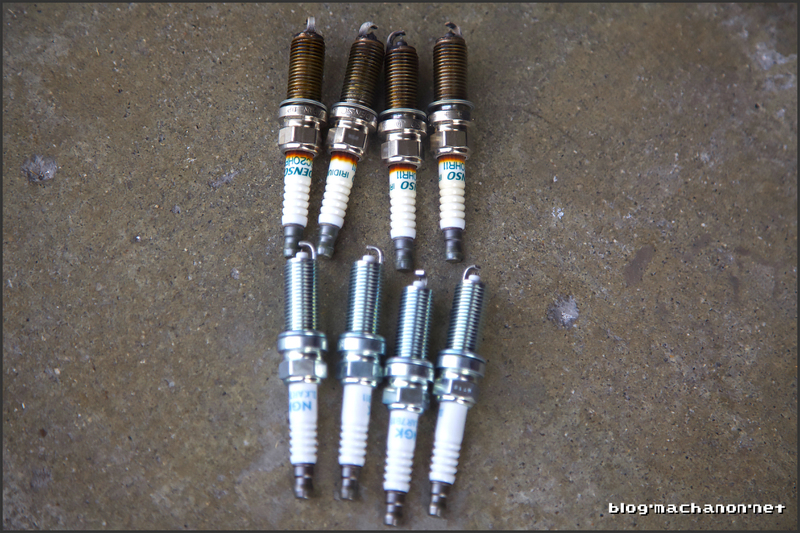 As jeffreyd00 pointed out in the comment section, these specific NGK plugs do not need anti-seize lubricant as the threads on the spark plugs themselves are plated with anti-corrosive material. I added anti-seize out of habit and dialed the torque down by 2 lb-ft when torquing. 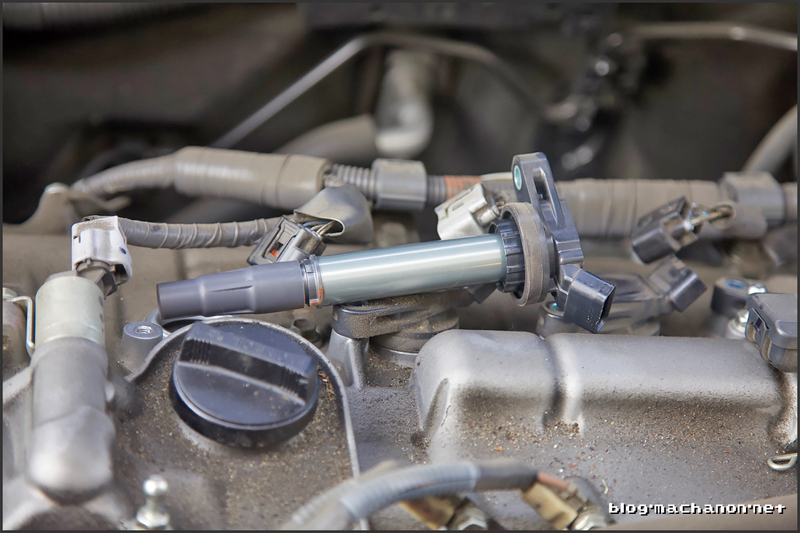 Re-install the ignition coils and re-connect the ignition coil cables. 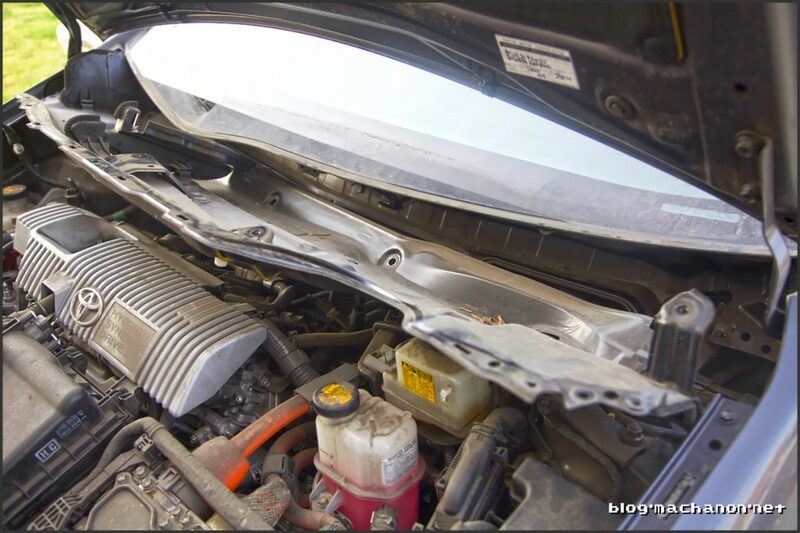 Replace the engine cover and then re-assemble the motor wiper sub-assembly, assembly and cowl in the reverse order of removal. Enjoy your Prius for another 120,000 miles! 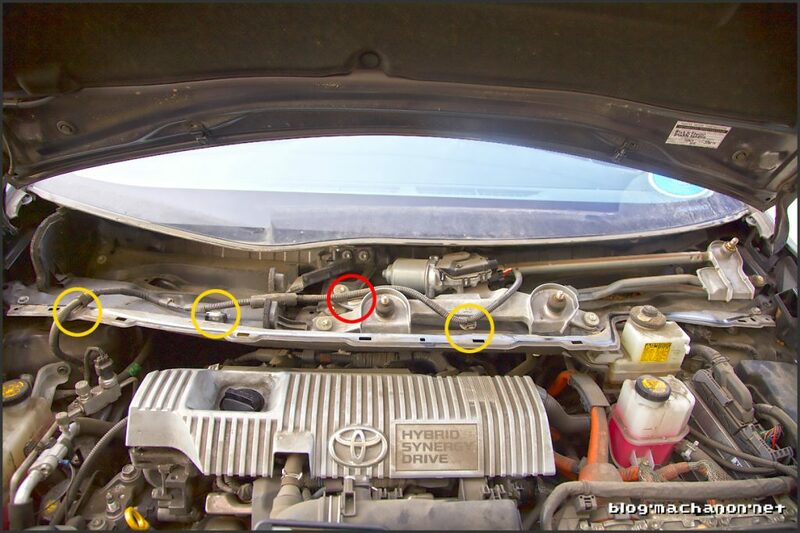 I’ll write up a DIY guide on replacing the spark plugs from a Prius c once my wife’s car reach that point. ← Back to the South Bay! 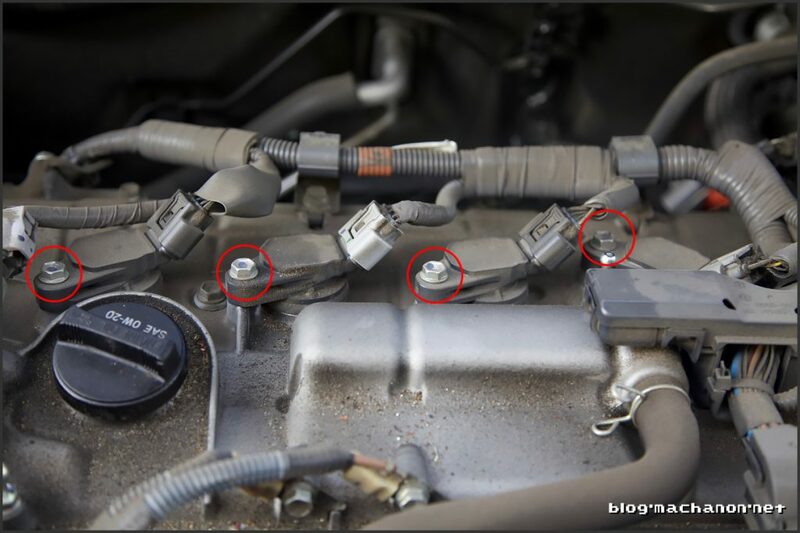 Yesterday did the Engine clean and today replaced my plugs per this DIY. The odometer was at 103,600 which is below the 120K recommendation but there were some sluggish points in my accelerations and a little lag and rough idle. Plus. I’m getting ready to drive 1000’s of miles to Florida so wanted new plugs for the long trip. It went pretty much by the text. 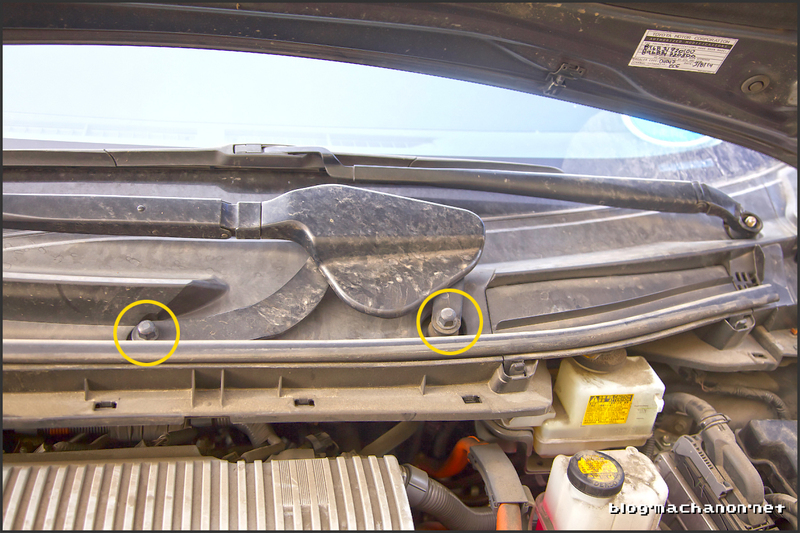 I didn’t seen any torque numbers for the cowling bolts or windshield wiper bolts so basically hand tightened them. I was nervous after the re-assemble that the old prius might flounder on starting but it didn’t at all and in fact seem to turn over quicker and idle smoother and slightly faster than with the old plugs. Driving was back to the smooth acceleration and engine pur that it had when new. Mileage seemed slightly better but can’t really be sure since for me after installing the air dam in the nose vents, I’ve had at least 10-20% increase in mileage overall. I get often in the 60’s mpg. 100,000 km converts to 62,137 miles. So not necessary to change spark plugs or transmission oil. Excellent walk-thru! Thank you for doing this. It was perfect for when I did my 2012. – In the “Spark Plug Replacement” section, Step 1, first line, after the comma, instead of “the unbolt four”, it should read “then unbolt the four”. – Same section, Step 3, after the comma, instead of “remove each spark plugs”, it should read “remove each spark plug”. 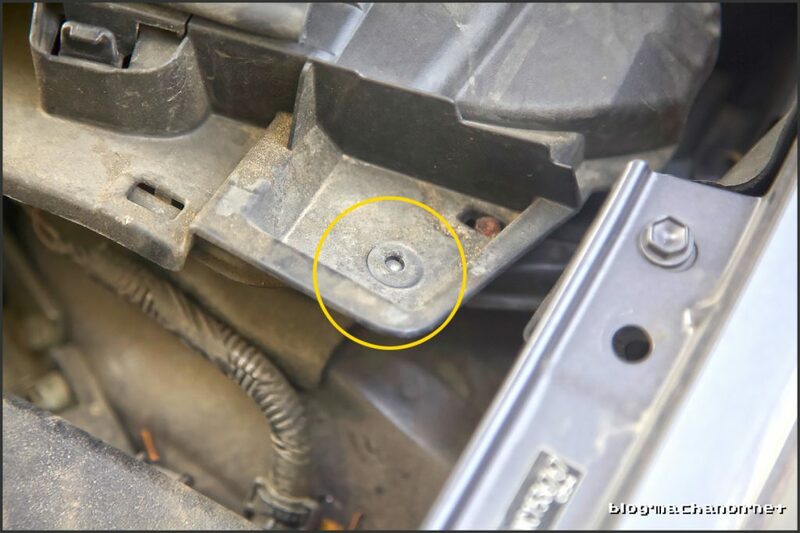 Thanks for this, as a point of information NKG Plugs, specifically the ones you installed not only do not require anti-seize, it is not recommended. 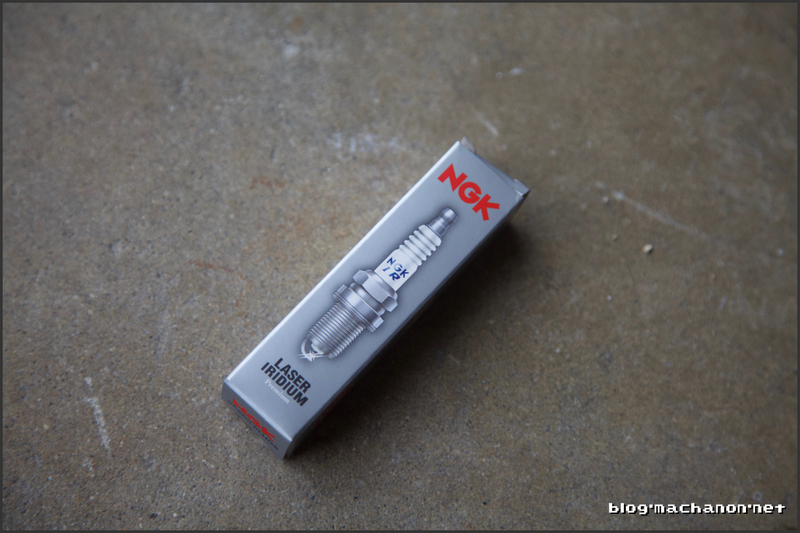 Thanks for the pointer, NGK indeed does not recommend anti-seize applied on their plugs due to the corrosion-free plated threads found on their plugs and risk of over-tightening due to it. 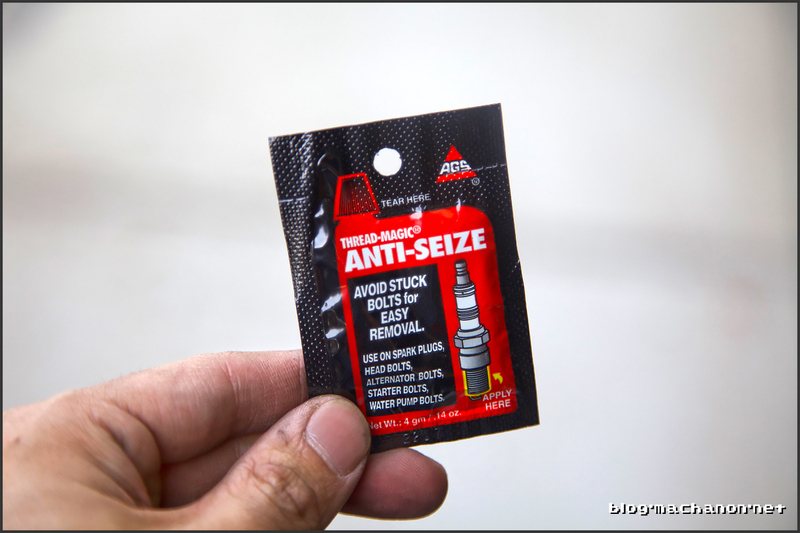 I add anti-seize out of habit and I lessen the torque amount by 2 lb-ft whenever using anti-seize. 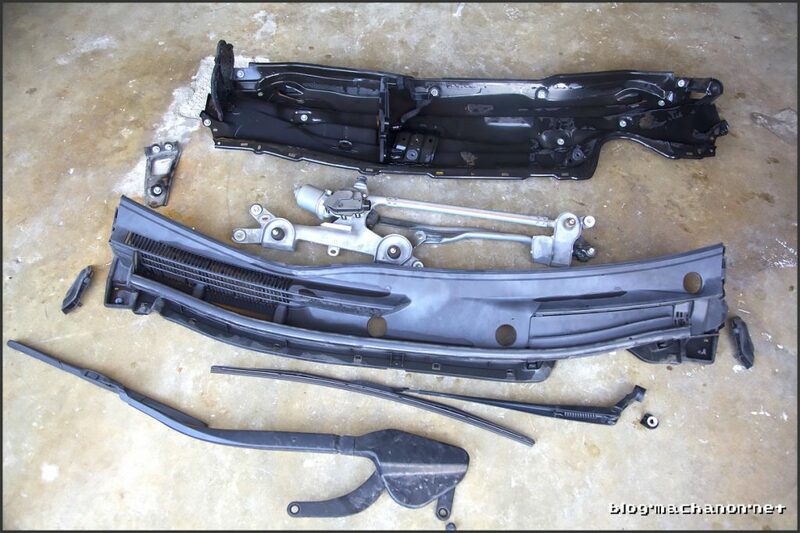 So from the Prius’ recommended 15 lb-ft “dry install” down to 13 lb-ft with anti-seize. Updated the article to include this info. That makes sense. I’m going to skip that step and just got with NGKs recommendations. You didn’t really mention setting the gap on the new plugs. 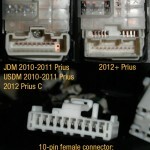 Did you have to do this or were they set at the factory for the Prius (not typically done)? Forgot to mention that the NGKs were pre-gapped to Prius spec, good catch. Will update later.